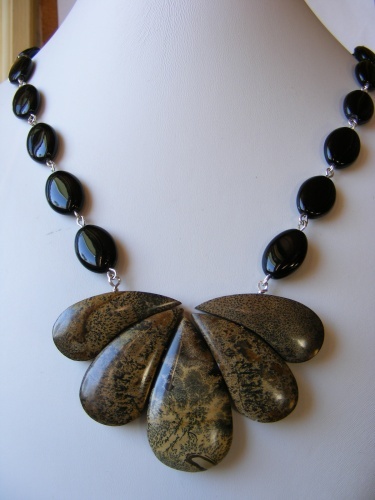 This high fashion necklace is truly one of a kind with the focal beads of Chohua Jasper it's so elegant. Enhanced with onyx beads each connected with sterling silver. Beautiful locking Bali clasp with small onyx stone embedded in it will ensure security. Necklace measures 18" in length.